The fact that the best way to destroy an enemy army is to destroy his support base is no news to anyone. But do we care to follow this rule of thump? 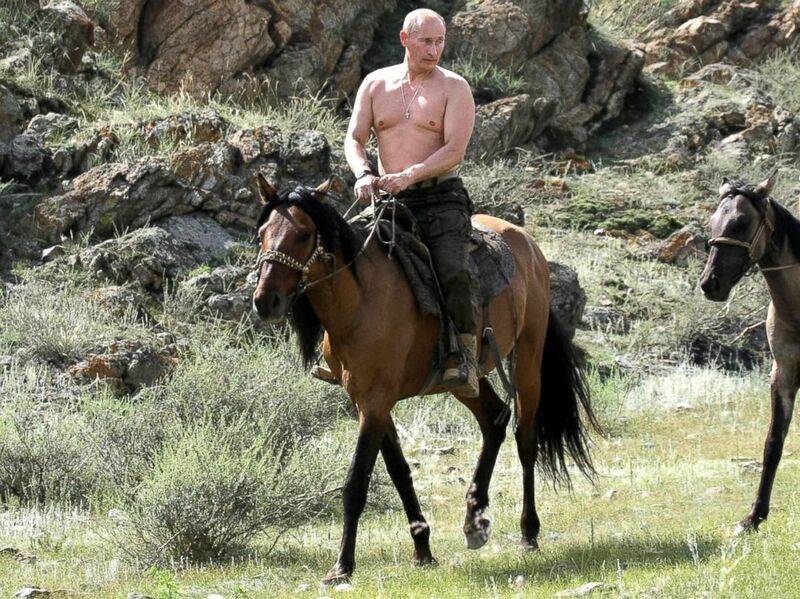 Does anyone here know where Vladimir Putin's horse is? Like many other rulers, he is dependent on the Russian middle class and their well being. The economy of Russia is declining and the middle class will sooner or later feel the impact of it. Especially when Russia is increasing the military spending and when a country does that, something else needs to stand back. What is saving Russia right now is its natural resources, but when the prices of natural gas and oil are also declining, the Russian government cannot support their gas and oil industries without any consequences. Despite all that, I think we shall not overestimate the threat form Russia. They are not a major threat. They are not idiots and they are aware of a war with NATO is not winnable. Nonetheless, they are playing the game pretty good. Think outside the box man! Hahaha, that's funny. Poor horse, though. Putin understands very well that secret operations are essential in war, upon them his country relies on to make its every move. A country without secret services is exactly like a man without eyes or ears. However, in Putin's case, his basic foundations are built on these two bodies, which are more than eyes and ears. 1. The Federal Security Service of the Russian Federation (FSB; Russian: Федеральная служба безопасности Российской Федерации (ФСБ), tr. Federal'naya sluzhba bezopasnosti Rossiyskoy Federatsii; IPA: [fʲɪdʲɪˈralʲnəjə ˈsluʐbə bʲɪzɐˈpasnəstʲɪ rɐˈsʲijskəj fʲɪdʲɪˈratsɨjɪ]) is the principal security agency of Russia and the main successor agency to the USSR's Committee of State Security (KGB). 2. The Foreign Intelligence Service of the Russian Federation (Russian: Слу́жба вне́шней разве́дки, tr. Sluzhba vneshney razvedki; IPA: [ˈsluʐbə ˈvnʲɛʂnʲɪj rɐˈzvʲɛtkʲɪ]) or SVR RF (Russian: СВР РФ) is Russia's external intelligence agency, mainly for civilian affairs. Therefore, to shoot the horse, the west has to undermine those two apparatuses. Certainly not by military might or the outdated counter-espionage tactics but rather by a macro and micro economics strategy called the "production possibility frontier" also known as "guns versus butter" model. It is widely believed that this particular economic model of America eventually led to the Cold War victory. Japanese brutal killed and torture European POWS during the world war 2. The Japanese government should apologize to Koreans.